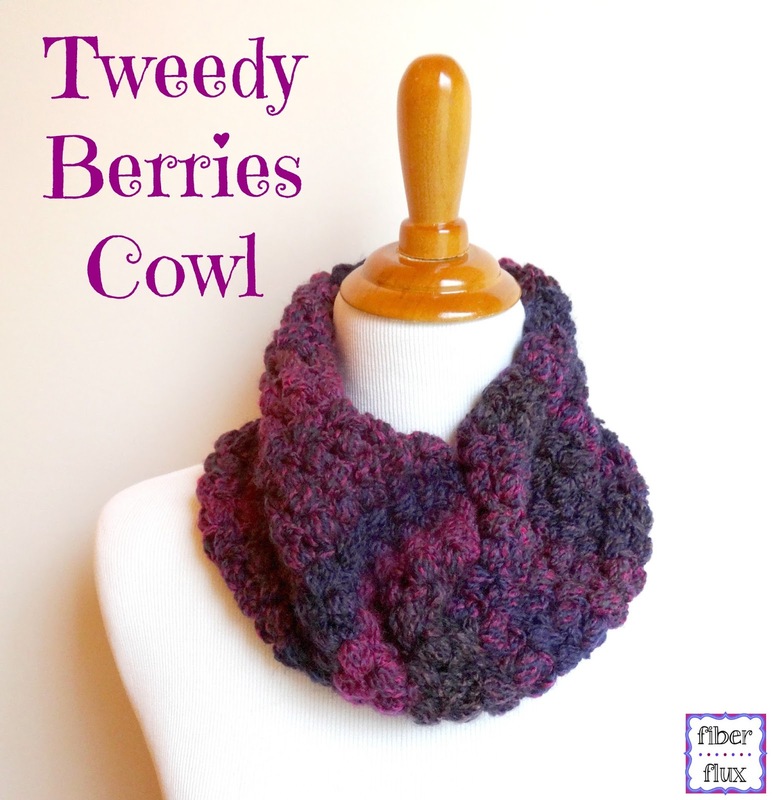 The Tweedy Berries Cowl is a fun to crochet cowl worked in an all over puff stitch pattern. 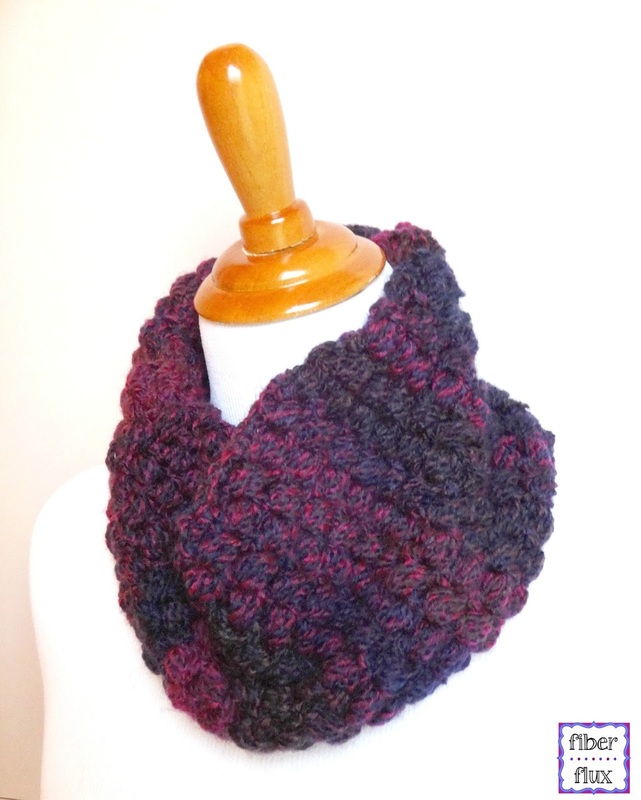 Self striping chunky yarn makes this cowl not only beautiful to wear, but extra warm without unnecessary bulk too! 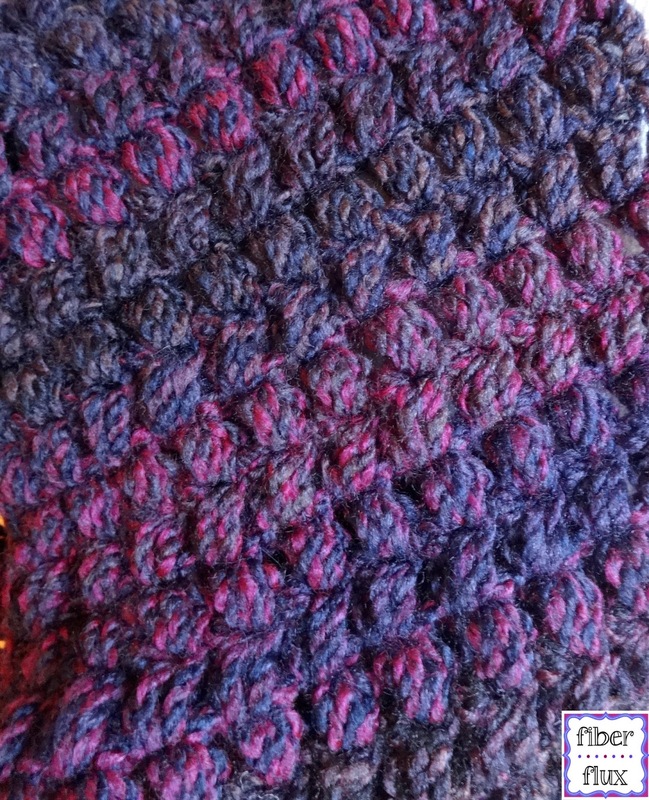 Row 1: In the fourth ch from the hook, work a puff stitch, then ch 1. *Skip 1 ch and in the next ch, work a puff stitch. Repeat from * until you have two ch left on the hook. Skip the second to last ch and in the last ch, work 1 dc. There should be 11 "puffs" on this row. Row 2: Chain three and turn. Work a (puff stitch, ch 1) in the top stitch of each puff from previous row, for a total of 11 puff stitches across. Work a dc in the top stitch of the turning ch. 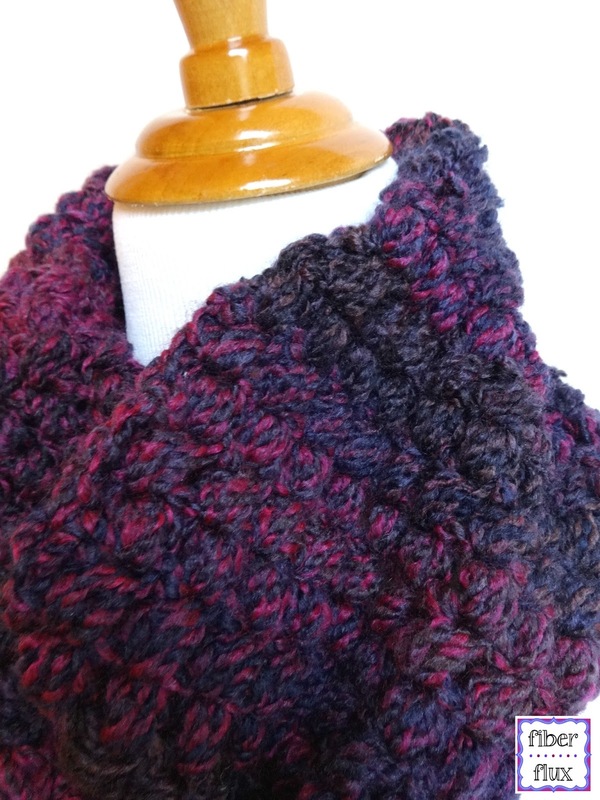 Seam your cowl by sandwiching the ends together. Work a slip stitch or a single crochet all the way across, by placing a stitch in the tops of each puff stitch in both layers...this will make the seam look nice and neat. Weave in any ends that remain and you're finished! You'll now have 3 loops on your hook. Wrap yarn around hook and draw up a loop. You'll now have 5 loops on your hook. You'll now have 7 loops on your hook. 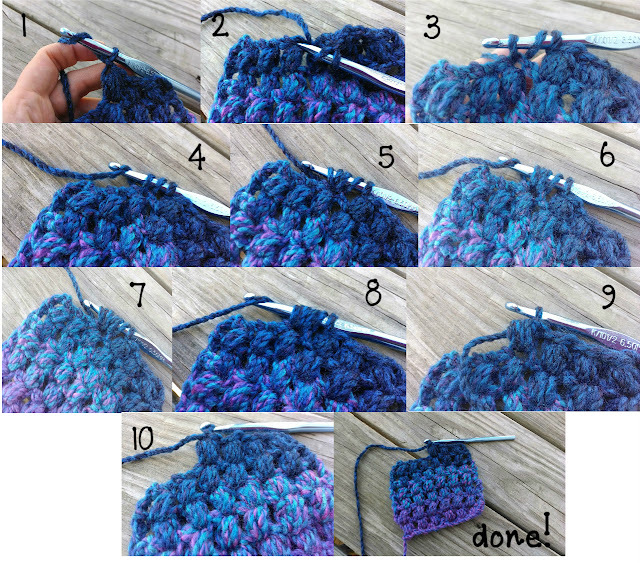 Wrap yarn around hook one more time and pull through all 7 loops on your hook. Chain 1, then you're ready to go on! This is beautiful. I am going to have to make this! love the yarn you used! great pattern and appreciate your sharing with us! 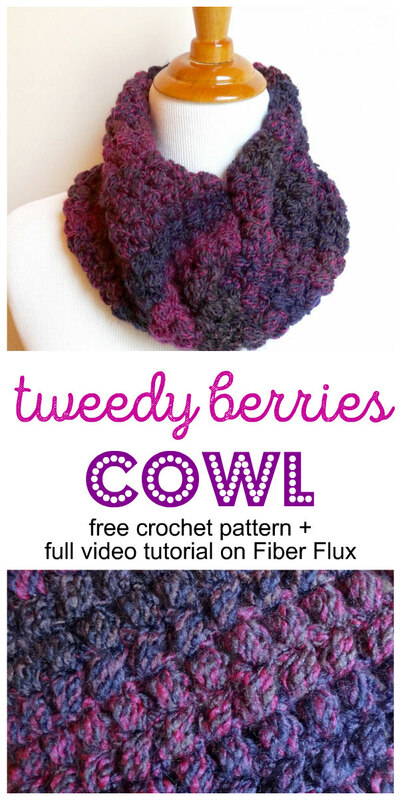 What yarn and colorway are you using in the photo tutorial? 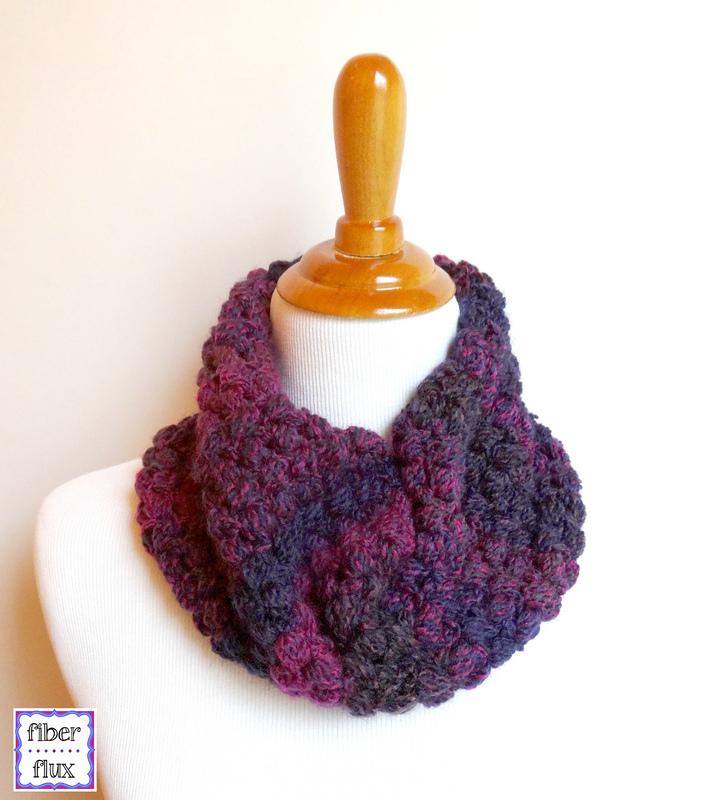 I need to make one in those blues and purples, but my yarn is a chunky and calls for an "L" hook. Why, yes it does! Thank you so much!